As a single woman in Littleton, you take your smile seriously – you know how to flash your pearly whites to get the best table at the fanciest restaurant, and your online dating profile is filled with pictures of your trademark grin. But while looking in the mirror one morning, you notice that your teeth are duller than you remember. You want to try teeth whitening in Littleton, but you’re not sure where to start. Should you use strips? What about trays and gels? Is there any way to get great results without dealing with a mess? Dr. Susan Kutis at Blue Sage Dental has the solution you need with ZOOM! teeth whitening. With this in-office treatment method, you’ll get the dramatic results you want in just three easy steps. Ready – You’ll get ready for treatment by visiting with Dr. Kutis and discussing how you want your teeth to look. She’ll then prepare your mouth for the treatment, protecting your gums from the whitening agent and making sure you’re comfortable. Set – Dr. Kutis will apply the whitening agent to your teeth and you’ll simply sit back and relax while you get the results you want. A special lamp will shine on your teeth only to accelerate the process and augment the treatment. Go – After just 15 short minutes, you’ll be ready to see your new smile. You can go turn heads with your radiant new teeth. Why Is ZOOM! Better Than At-Home Treatments? Save Time – Rather than wearing trays for hours at home, save yourself time with an in-office treatment. It’s so quick, it can easily be tacked on to the end of a regular cleaning. And, although it’s fast, it’s still incredibly effective. No Mess – At-home whitening kits require the use of gels that can be messy to use. You can leave what little cleaning there is to us with in-office ZOOM! treatments. Consistent Results – Since over-the-counter products include only a very low concentration of the whitening agents that actually lighten teeth, high-quality results can be hard to come by. With ZOOM!, you’ll be treated by a professional and will see the difference you want. And, if you don’t believe us, take a look at these before and after photos. Now that you know all the ZOOM! 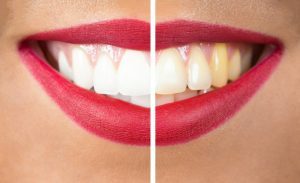 teeth whitening from your cosmetic dentist in Littleton can do for you, schedule your appointment today and get the stellar smile you deserve!